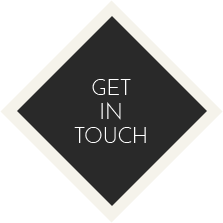 Amy has been working in the dental world for 13 years now, first joining our practice five years ago. Before she became our office manager, she was a Registered Dental Assistant and still holds her RDA license! Today, her favorite part of her work is the interactions she gets to have with patients. 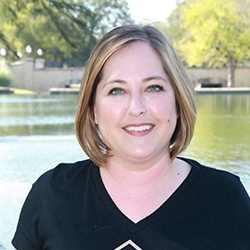 Originally from Dallas, Amy now lives in Mesquite. She has three children. When she isn’t busy at the office, she’s helping out with homework, going to sports games, traveling, attending fitness classes, or baking. Danielle has been with our practice for 3 years and loves the satisfaction that comes from building relationships with patients and educating them to lead happier, healthier lives. Originally from Orange County, California, Danielle attended Canyon High School in New Braunfels. She received an Associate of Arts from San Antonio College and her Associates of Applied Science in Dental Hygiene from Del Mar College. She and her husband, Chance, love spending time with their 6 year-old Boxer named Lexi. In her free time, she enjoys working out, traveling, having barbecues, cooking, and watching UT games. 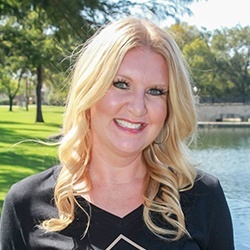 Tonya has been a member of our team for four years now, first starting in the dental field six years ago. She received her education from ATI College and is also certified in nitrous oxide. She enjoys many things about her job, including working with a wide variety of patients, educating them about dental care, comforting anxious visitors, and working with state-of-the-art equipment. Tonya is from Houston. She has a husband named Gary, three children, three step-children, two dogs, one cat, and a bearded dragon. Her hobbies include traveling, camping, hiking, and spending time with family. She is actually the go-to person to fix broken things in the office, whether they have to do with electricity, assembly, or even plumbing! 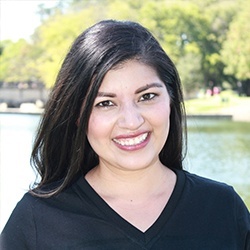 Rosa comes from Lima, Peru, and she has been working in dentistry for 16 years and counting, first joining our practice nine years ago. She is certified in CPR and loves being able to work with great patients. 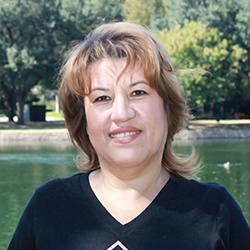 Rosa is married and has two children, three grandchildren, and two dogs. Outside of work, she loves spending time with her family, especially her special grandchildren.